Radiation therapy uses high energy radiation to shrink tumors and kill cancer cells. At IPMC Oncology radiation is delivered by a machine outside the body known as “external beam radiation therapy.” Radiation therapy kills cancer cells by damaging their DNA. (DNA are molecules inside cells that carry genetic information and pass it from one generation to the next). Cancer cells whose DNA is damaged beyond repair stop dividing or die. There are several types of cancer treatments available, depending on the type, location and progression of the disease. 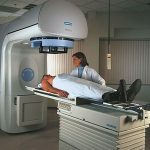 Intensity-modulated radiation therapy (IMRT) is an advanced mode of high-precision radiotherapy that utilizes computer-controlled linear accelerators to deliver precise radiation doses to a malignant tumor or specific areas within the tumor. 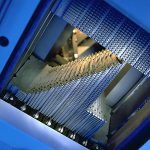 IMRT allows for the radiation dose to conform more precisely to the three-dimensional (3-D) shape of the tumor by modulating—or controlling—the intensity of the radiation beam in multiple small volumes. IMRT also allows higher radiation doses to be focused on regions within the tumor while minimizing the dose to surrounding normal critical structures. Treatment is carefully planned by using 3-D computed tomography (CT), magnetic resonance (MRI) and/or positron emission tomography (PET) images of the patient in conjunction with computerized dose calculations to determine the dose intensity pattern that will best conform to the tumor shape. Three-dimensional conformal radiation therapy (3D-CRT) is a technique where the beams of radiation used in treatment are shaped to match the tumor. Previously, radiation treatment matched the height and width of the tumor, meaning that healthy tissue was exposed to the beams. Advances in imaging technology have made it possible to locate and treat the tumor more precisely. Conformal radiation therapy uses the targeting information to focus precisely on the tumor, while avoiding the healthy surrounding tissue. This exact targeting makes it possible to use higher levels of radiation in treatment, which are more effective in shrinking and killing tumors. In Image-guided radiation therapy (IGRT), the linear accelerator that delivers radiation, is equipped with imaging technology so that the physician can image the tumor immediately before or even during the time radiation is delivered, while the patient is positioned on the treatment table. Using specialized computer software, these images are then compared to the images taken during the simulation. 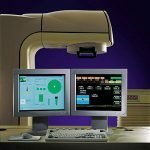 Any necessary adjustments are then made to the patient’s position and/or radiation beams in order to more precisely target radiation at the tumor and avoid healthy surrounding tissue.